All the latest security news and information, plus insights and updates from IDS Security Systems Ltd.
← How Does CCTV Work? Combining an access control and security barrier system allows you to benefit from multiple levels of security. 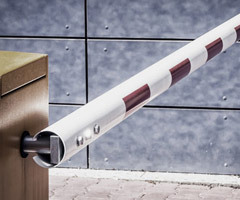 Here at IDS Security Systems Ltd, we offer bespoke security packages that combine our both our access control and security barrier systems to create access control barriers that suit your exact requirements. We install security barriers all over the country. Our customers can choose from gated systems, barrier systems, rising bollards or even turnstile systems depending on the placement and purpose of the security system. Once the security barrier is selected, a decision can then be made about the type of access system you’d like to integrate. 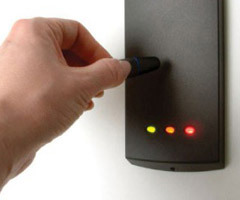 These access control systems are ideal if you have the same people returning frequently, but you want to avoid any unauthorised personnel from accessing your premises. Key fobs and smart card systems are particularly effective for use with security barriers outside places of work. Intercom systems are particularly useful if you need to control the entrance of visitors. Whichever combination of access system and barriers you require we will do our best to accommodate. Please get in touch if you want to inquire about our access control barrier systems or any of our other security systems. Access control barriers allow you to benefit from multiple levels of security - find out more here! Can You Install Security Cameras Yourself?